David Waumsley & Nathan Wrigley of WP Builds interviewed me for their great WP Builds podcast. This is a great podcast to follow for all things WordPress and Beaver Builder. So give them a listen for sure. Shock revelation: International treasure Chantal reveals how she abandoned everything for a string of short-time love affairs! You can blame this sensationalism on Chantal and her knack for memorable analogies. 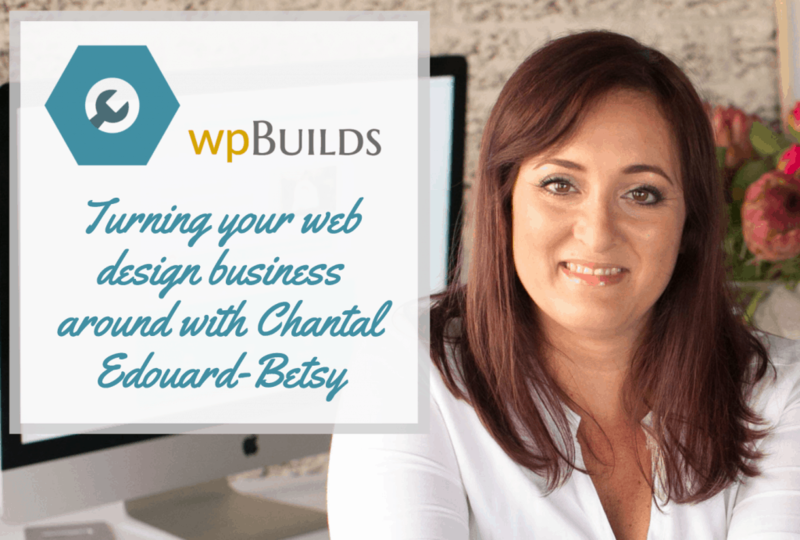 The truth is Chantal (from 1daywebs.com) turned her website design business away from the tedium long drawn out projects to the heart fluttering thrills of one day web builds. She’s never looked back. If you have not heard Chantal Edouard-Betsy before you are in for a treat. If you have, you are bound to want to hear more. She has become one of our most referred to examples of how to do personal branding. She is also one of the most giving members of the Beaver Builder community who always talks a ton of sense. If you haven’t guessed yet, she is one of our most favoritest of peeps. P.S. If you only caught the headline please note that Chantal is happily settled and radiantly pregnant.